I'm Rob, signed up to the forum for the impressive amount of information here. I got a SkyWatcher 127 scope last Christmas with the AZ GTI mount along with the standard EP's but also got an additional 15mm, 8mm and 2x barlow along with a couple of filters and a dew shield. 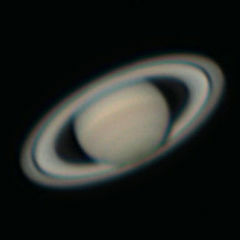 Not had much chance to view much due to overcast skies in the NW of England but I'm getting used to the alignment setup and looking at the moon, before moving onto a few planets. Also got a second hand Canon 500D, best I could get on a budget and hope to take a few photos going forwards and familiarising myself with image processing (darks, bias, etc). Anyway, I hope to learn a few tips and tricks to get the best out of my new scope here. Hello Rob! welcome to SGL. Hello Rob, welcome aboard. I'm away toward Chorley, so not far from you! Hi. That must have been a frustrating wait since Christmas. The skies seem to have been overcast for such much of this year so far. Fingers crossed for better weather to come. I know Chorley quite well. I have family on my wife's side over that way. Absolutely. I think last night was the best night we have had for a good while, at least for gazing at the moon. welcome to the forum. Clear skies. Welcome. Hope you have lots of fun ... and lots of success with the Dark Art of astrophotography! Hi Rob - Before I moved to CCD imaging I was given an old 550D Canon which I had to stick the hand grip back on! However I had it modified and it has taken some cracking images! Hi Rob, Welcome to SGL. Get yer self down to Preston and District Astronomical Society (PADAS). They meet the 2nd Thursday or the month at St Gregory’s Social Club, on Blackpool Road, also observing night at Moor Park Observatory 3rd Thursday or every month. Lots of info on here. Hi, Rob, and welcome to SGL. That particular frustration never goes away ... 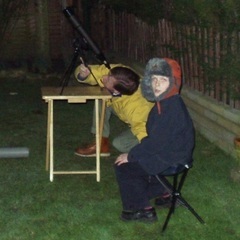 I'm still waiting to get a go with my crimbo pressie and the only decent nights have had a massive moon in the way! My mistake, the monthly PADAS meeting is at the Obsey on Moor Park on the 2nd Thursday of the month and the observing night is on the 3rd Thursday of the month, again at Moor Park Observatory . Hi Rob, and welcome to SGL, see you around the forums. Enjoy!